City Bakery was in the 300 block on the west side of Main St. The location is now the parking lot for wells Fargo Bank. 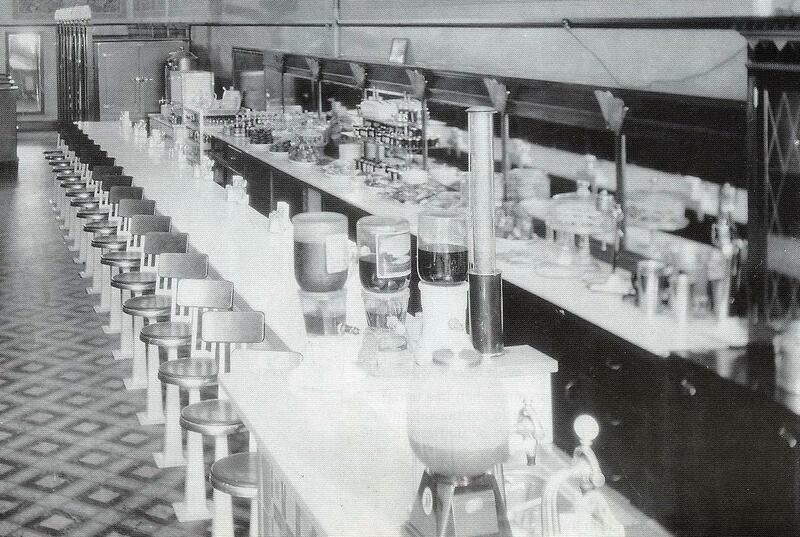 City Bakery also had a lunch counter, of which I do have some pictures. The eating area had wire metal tables and chairs and a number of ceiling fans. People would stop for lunch and take home many of the pastries offered. 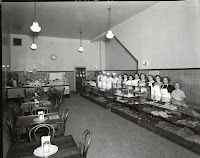 I remember City Bakery during the 1969 flood. I was working at Downtown Red Owl. 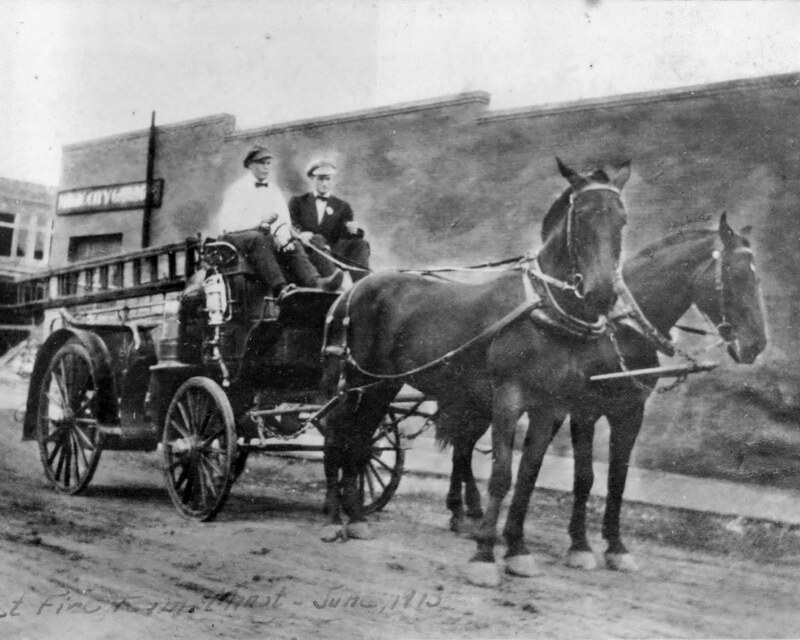 City Bakery and their van(s) were used by the Red Cross to send out food and drink to the people working on the dikes and other flood protection. After our shift at Red Owl, a few of us would go to the back entrance of City Bakery, hop in one of the vans and deliver food and drink to the workers, sometimes all night long. Today we finally got our temporary power completed. Xcel came and installed the meter. Still not power. we then figured out that the main line into the house had been disconnected. After that we hooked up the power came on. Now we don't have to use the noisy generator for the house. We will use that for the garage when we need power. 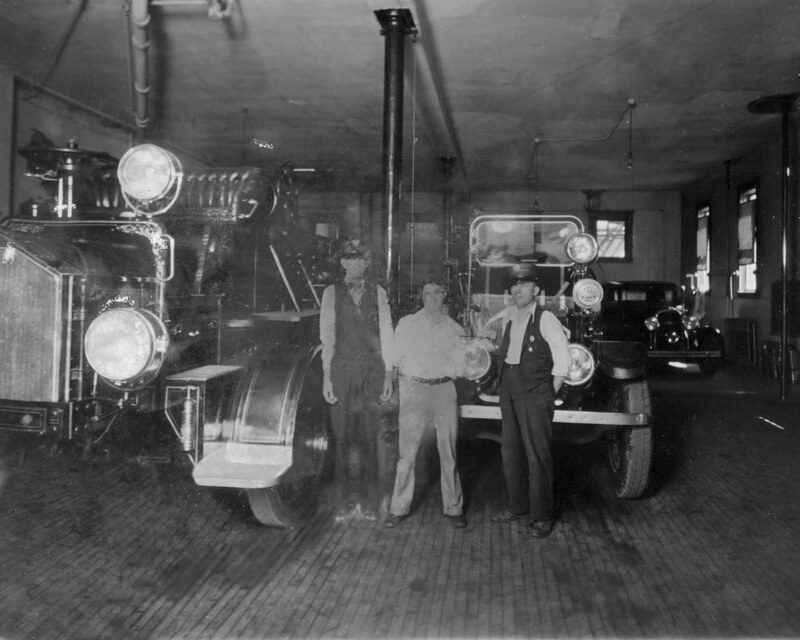 Herman Gordon arrived in Minot in 1905 and opened a small tailor shop in town. 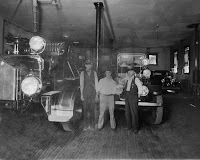 His first shop was on First Street South West. 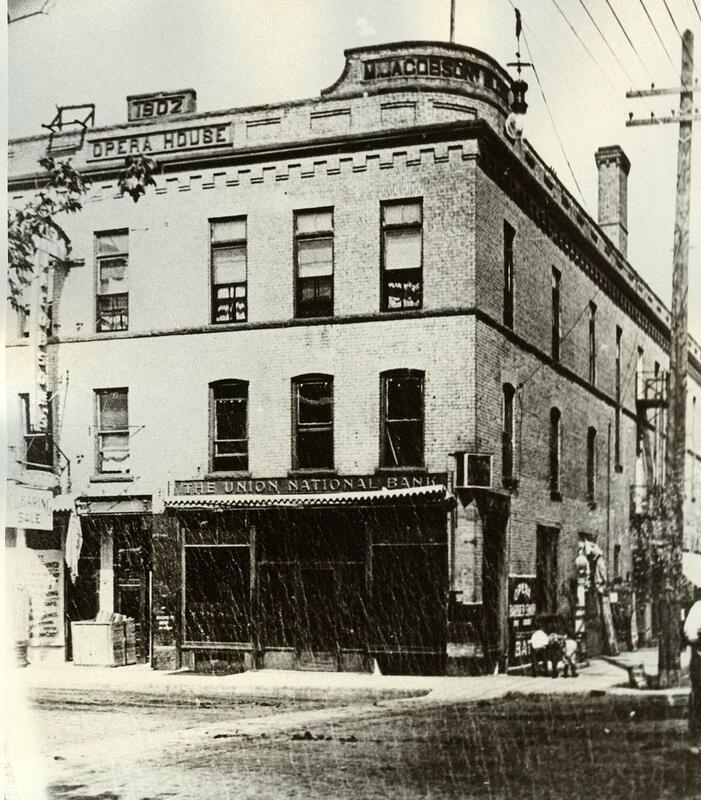 Later he moved to Main Street and opened the Boston Store. 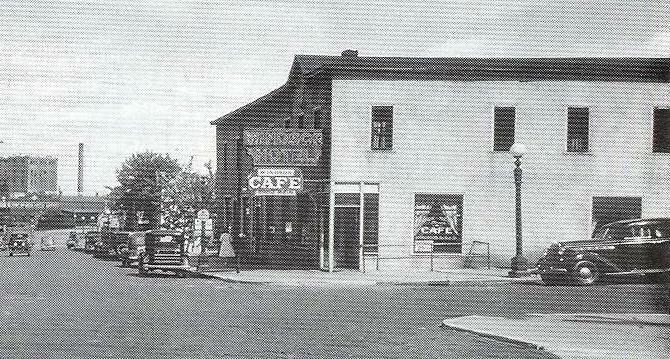 Eventually, The Boston Store moved to First Street Southwest, just south of what is now the Federal Building. Herman was ten years old and still living in Russia when he “ went on the bench”. The term used at that time applied to learning the tailor’s trade. He learned from his father. 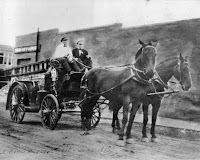 After coming to America in 1902, he worked for three years as a tailor in Petrosky, Michigan before moving to Minot. Herman and his wife, Helen, lived at 613 East Central Avenue, or in what is now know as Eastwood Park. It is hard to believe that we have been out for 36 days. Not too much is Happening. I met with Darla from Muus Lumber yesterday. She took measurements of the kitchen and will come up with some designs based on what was there and ideas we want to incorporate. Still waiting for Xcel to show up and hook up our temporary power. We just need them to add the meter, then we can quit using the generator for everything. We took last night off but will be back in the house again tonight. We try to get a bit done daily if possible. Tomorow night is the meeting for residents of Ward 1. We will not be in the house tomorrow because of that. In setting up the meeting, I have invited the Governor, All the Congressional Delegation, (not that I expect any to show up). Also will have the following there:, FEMA, SBA, Red Cross, Salvation Army, City Public Works, Engineer, Police, Fire dept, 1st District Health and Army Corps of Engineers, and a couple other groups. Not sure if they can answer all the questions but it will be interesting. We are still waiting for Xcel to come and add the meter to our temporary power outlets. Yseterday we came into town with the help of Tom and Susan and cut down all the lilac bushes and Spruce trees in the front yard and on the morth side of the house. The lilac bushes may come back.... I'm not sure anything will kill lilacs. The spruce trees were dead on the bottom 6 - 7 feet and probably would have died in the future. The ash trees and the Pine trees in the front corner for the yard seem to be ok. We rescued a few more items from the basement and worked more in the garage. The north wall has been stripped of plywood, pegboard and insulation so it can dry. I bought more X-14, a product made by WD-40 that seeems to kill mold. sprayed all the mold spots in the wall, even though most of them are going to be coming down. I also opened up the motorhome to let it air out and dry out. Last night after we had a bite to eat we stopped by the house for a brief moment. The electricians were at the house installing the temporary power. Now we need Xcel to come out and hook up the temporary meter and we will be set. Today we will be working in the garage to clear out more stuff. I have scheduled a meeting for all the residents of Ward 1 on Thursday evening at 7pm in the Municipal Auditorium. People want answers to a lot of questions that have no answers yet. I have many entities coming, including the head od the Army Corps of Engineers, 1st District Health, Public Works, City Engineer, SBA, FEMA, State Legislaters, Red Cross and an invitation to Senator Hoeven. I am expecting a large crowd. 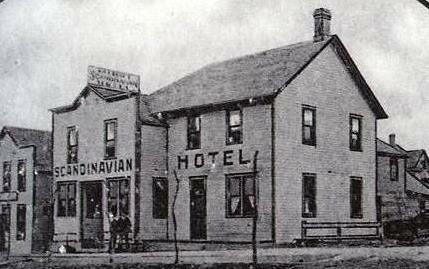 The 13 Club was located 13 1st Street SW. 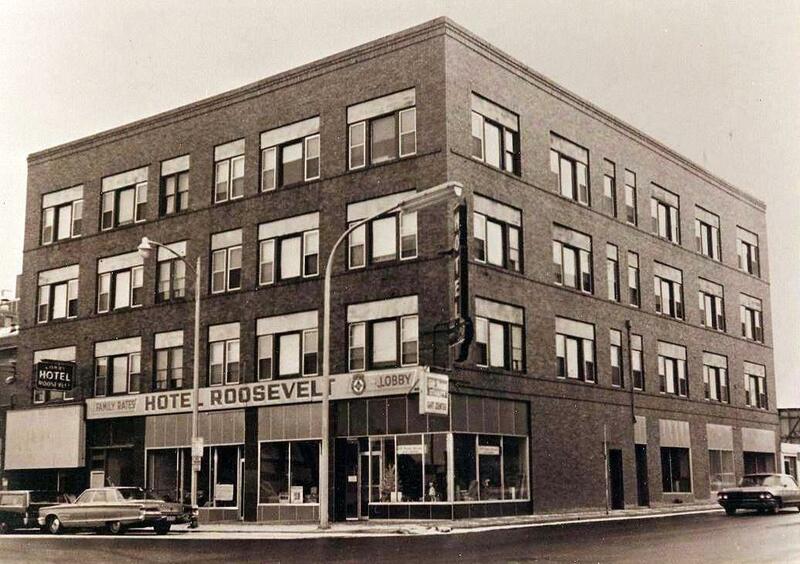 It was located between Central and 1st Avenue on the east side of the street. It is now a parking lot. 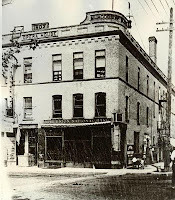 From the 13 Club came Gordon’s Holiday Spot on South Broadway. The Holiday Spot included the Copperpot Restaurant, the Trails West Bottle Shop, a 40 unit motel and The Sundowner Lounge. I remember the 13 Club as I would visit it off and on when working as a stock clerk in the Downtown Red Owl Store. I remember the Sundowner Lounge very well. As the drummer for the Wilder Days Band in the late 80’s and early 90’s, we performed at the Sundowner frequently. The Sundowner is now Sidekicks. Not a whole lot to add today. We moved all the kitchen stuff that was in the upper cabinets to our storage unit. Temporary power still not there. I spoke with the electricians and they were to be at our house last night or today sometime. Then Xcel has to put a meter on and we will be set. The humidity in the house is coming down. We have 2 dehumidifiers and a number of fams going on the main floor. When the basement is gutted the humidity should come way down. This weekend we are going to cut down the trees in the yard that the flood seems to have killed. It will be the pine trees and lilac bushes. We will see if the lilac bushes come back or not. It seems they usually do. In the beginning of planning a Ward 1 meeting for all residents, possibly next Thursday evening. Everyone wants answers to questions that the answers are not known yet. The big questions are: Should I rebuild or is our house going to be in the greenway, (flood zone). Maybe more info will be available by the meeting. 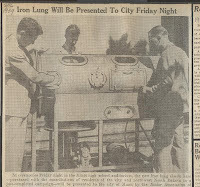 Iron Lung come to Minot – in 1939 the Minot Junior Association of Commerce, lead by Les Maupin, conducted a fundraising drive to raise money to purchase an Iron Lung or mechanical respirator for the City of Minot. The respirator, a Drinker-Collins type was fitted with a mechanical and manual operating equipment. Rules and regulations for the operating of the Iron Lung in emergency cases were adopted by the Minot City Council. The Iron Lung was presented to the city at a special ceremony held in the Minot High School Auditorium on August 16, 1939. It was a good day yesterday as far a flood sutff goes. Still no temporary power. Hopefully today we will have it installed so we can cut back on using the noisy generator. The neighbor across the street found a part of her basement collapsing. She has halted work on her house until a structural engineer can inspect it. This makes 17 basements in Eastwood Park with foundation problems that I know of. There could be more. We met with the representatives, the advance guard you might say, for the "mud out" team with the Southern Baptist Church. The group will come in and remove all the debris from the basement, remove all the sheetrock from the walls and ceiling in the basement, power wash it and treat the basement with a mold repellant. They will also demo the sheetrock where needed on the main flor, remove kitchen cabinets and treat what is left with the mold stuff. The demo teams could be in twon as early as this weekend. We will be working on the garage to remove debris, sheetrock and insulation. 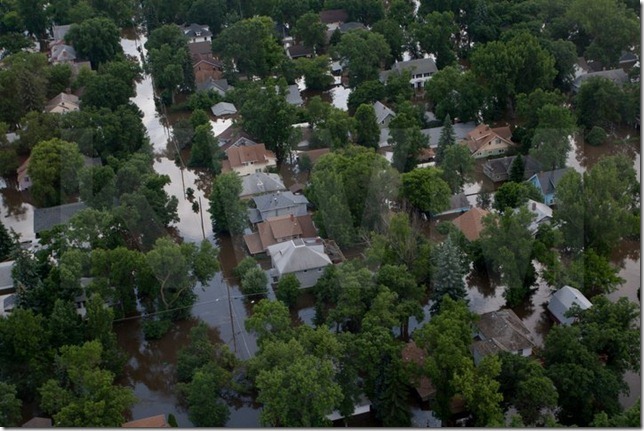 Relatives are planning on coming to town this weekend to cut down all the pine trees, lilac bushes and Japanese Lilac trees that have been killed by the flood waters. 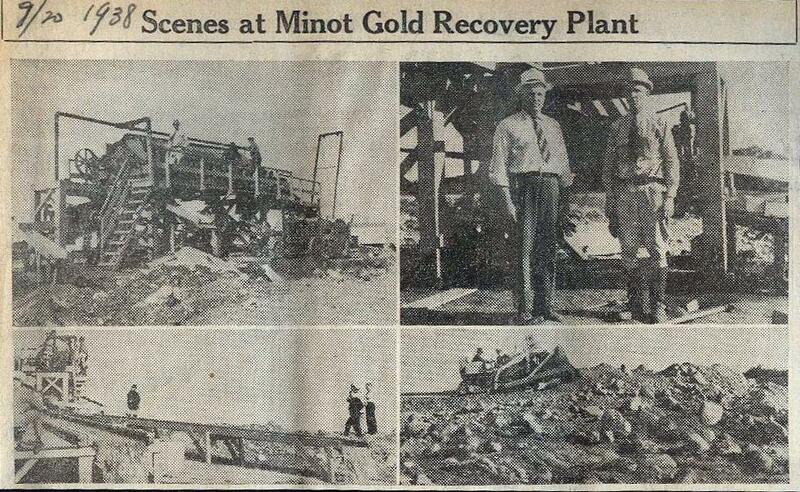 Aug 26, 1938 – A gold recovery plant has been established east of Minot near the Mouse River by the Herman Hanson Syndicate. Soil travels up a conveyor belt to a circular drum. There it is washed and whirled. The coarse gravel is discarded and the finer material, carrying the gold content passes across a vibrating screen, which sifts the material even finer. Water pumped from the river, washes the screened material down into sluices where a series of riffles and special cloths trap the gold. The concentrate is then pit through a special electro-amalgamated process, which extracts the gold dust. Between 2,000 and 3,000 cubic yards of material will run through the plant daily. 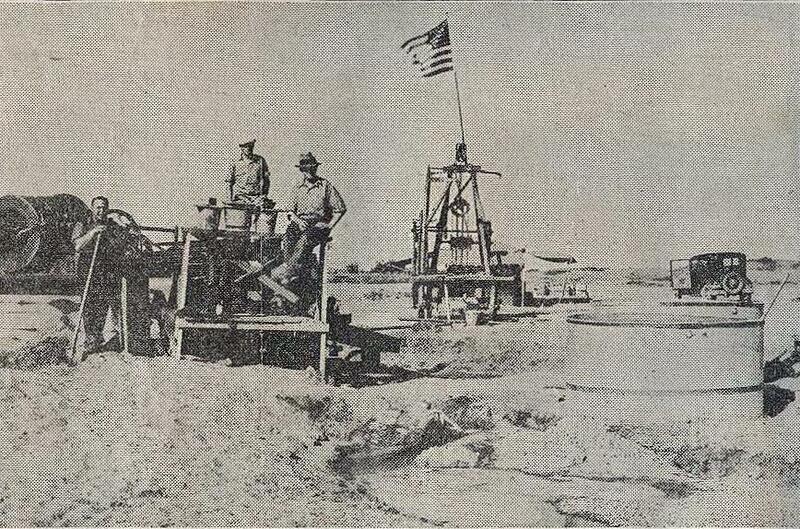 Minot Men Hunting Gold at Denbigh – in 1932, three men from Minot, Joseph Gleske, Robert Hill and Christ Enger, employed by the Willard – Wallace Company were extracting gold from the sand hills at Denbigh. The special machine was made in Denver. Gravel enters the machine at the front. After a series of screens and filters, it removed larger sized pieces. The fine sand that was left entered “flotation” cells at the rear of the machine where it was agitated in water that had certain oils and chemicals added. Froth would rise to the top of the cells and was brushed into containers by small which scraped the surface of the mixture. 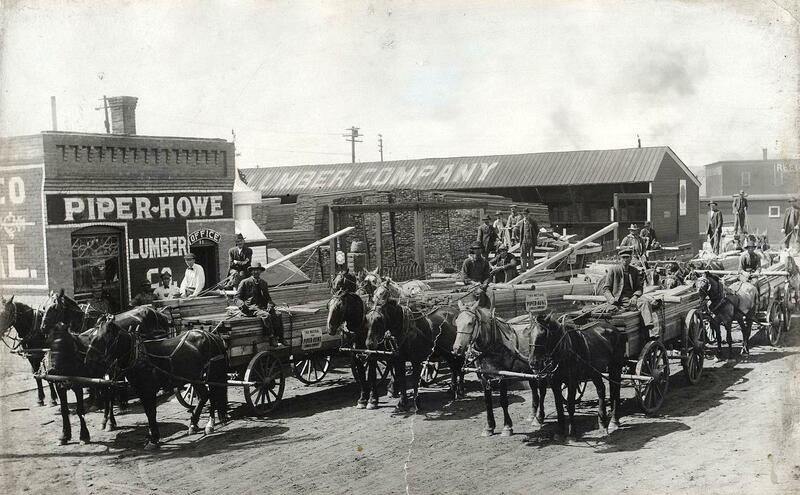 They hope was to recover 90 cents of gold per yard of material at a cost of 15 cents per yard. Apparently it was not too successful as it did not last very long and is not around today. I have a picture of the machine used in the minig process, however it is on my desktop computer in my home..
Last night after work we went to the house and decided our mission for the night was to remove as much of the carpet on the main floor s we could. We succeeded. We pulled out all the carpet in the dining room, living room, den, hallway and entry way. It was a messy job. I would not have believed that carpet padding could hold so much water and weigh as much as it did. We have never seen the floring below the carpet. The original hardwood floors are there and so far it appears there if very little warpage. We will be restoring them to their original condition. We have a few spots to patch in where the original floor has been filled in with other wood, but these are small areas. We wanted to get the carpet off so the floors would dry. Most of the slippery muck that has been deposited on our yard, sidewalks and driveway as dried. It is now almost like shoveling thin concrete and it leaves a black residue behind. I believe our task for a while today will be to start on the garage. The basement pumping will probably begin tomorrow. Last night the water level in the basement was about 2 feet lower than the day before. I seems to be draining away on its own. When we left last night we drove through the neighborhood. Within 1 1/2 blocks of our house there are 10 houses with collapsed basements. 5 of these are on our block. As bad as our situation is, others have it worse. A number of trees are down. The ground was just to wet to hold them. Just returned from a meeting with Eastwood park residents. While there a press release came out and I read it to the group. We are allowed back into the neighborhood as long as we do not have to drive through water to get to the house and as long as there is no water standing in the yard on the grass. If there is water in the house (basement) we are not to enter until Xcel Energy has removed the meter and made sure power is off to house. If we have a red tag on the door, Xcel has been in and the power is dead. I have been told there are a few trees, (one being a large cottonwood), in the neighborhood that are down. Not sure which ones or where they are located. We will make a trip in I will add more in the morning, hopefully with a picture or two. Not a whole lot more to add to yesterdays update. The river is now down below 1552..... it is at 1551.91 this morning. We are hoping to get into our neighborhood this weekend or early next week. Some neighbors have been entering illegally. One informed me that there are areas of dry pavement on some of the streets in Eastwood Park. However, until the area is deemed safe by the city officials, we will not be going in. This is happening in other areas.... people sneaking in to see and sometimes work on their homes. It is supposed to be a $300.00 fine if caught. Not sure if anyone has been fined yet, but perhaps if some were it would deter others from entering where they should not go. I did hear that one house on 9th St. lost its basement.... foundation caved in. All for now. I just returned from a City Council meeting to approve the area for FEMA to sset up a camp for their workers who are going to be here for a considerable time. Also went to the Municipal Auditorium and received a tetanus shot at the temporary clinic set up. I did find out a few things about Eastwood Park. The block on 9th Street as you enter off Burdick Expressway is dry. In conversation with the chief of police it sounds like those few residents who live in that area may be allowed into their homes soon, maybe tomorrow. I met for a time with the Asst. Public Works Director about the rest of the neighborhood. It appears that there is a couple breaches in the dikes in our area. In one breach the water is flowing into the neighborhood and in another breach the water is flowing back into the river. the river is now about 1553. When it drops to the 1549 mark, maybe by Sunday, the city will open the overflow gates on the dead loop. These are usually opened when the river is high to alleviate the river channel. This time they will open them to drain the dead loop back into the river. We, the city, had a number of large pumps, 12-15 inch diameter pumps, reserved but they ended up in other flooded areas. When more are available, the city will begin pumping some areas to speed up the re-entry process. Time goes on. The river is supposed to drop to normal flood stage by Sunday, the 17th. Normal flood stage is 1549, right now the river is at 1554 approximately. If it drops that low by this weekend the storm sewers my start draining and that would empty the water out of Eastwood Park. This would allow us the ability to get in and assess damage. Then we will start the task of demolition and reconstructing. The by pass bridge is in need of repair. Not sure if that can start until the water recedes so the west bypass is closed. Broadway and Third street are now open for north - south travel. I rented another storage unit to unload the trailer all my tools are now stored in so the owner can have it back. The tools and saws will be some of the last items to go back into the house. Three weeks since we have been out of the house. Getting ready to one day go back in to assess damages. I have been trying to be proactive in anticipating what we will need for the cleanup process. I have purchased a generator and assorted tools. Last night I ordered some N95 face masks to help keep out of our lungs whatever we may be breathing. I also ordered some disposable tyvek coveralls and some 12 mil longer, disposable rubber gloves. Many residents are calling me to see if I have any power to get them into their homes or if I have any idea of when they may enter. I do not and have told them if they are caught they will be arrested and fined. In some places the river current is strong and deep and even air boats are having trouble. Extra law enforcement officers have been brought in to help patrol neighborhoods. 10 people taken out of the Perkett area by air boats, not sure if they were arrested. $300.00 fine if you are. Still a waiting game as to when we and others will get to their homes. Work is being done on the bridge on the west bypass. Army Corp of Engineers is reinforcing it so it stays where it is. This informations came from a friend who drove cab back in the early 50's. 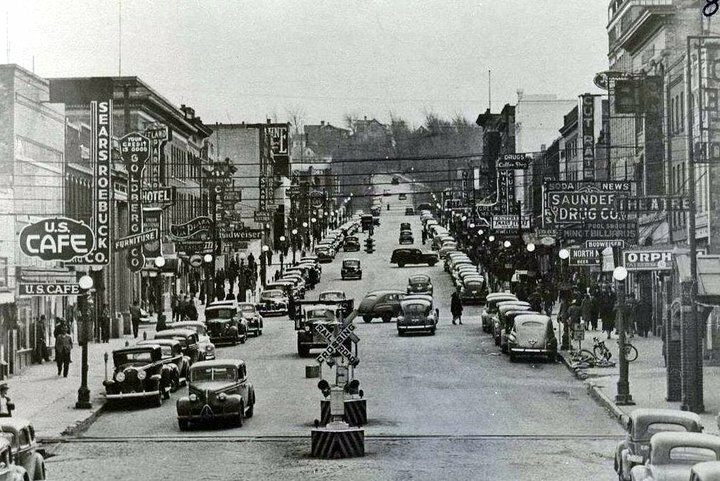 He was also a great source of information about Minot's High Third Street which will be the topic of this blog later this fall. The "Knock Down" may still be going on for all I know. When some cab drivers were hired they were paid an hourly rate, about $1.00 and hour and all they could steal, or knock down. A knock down goes like this. A cab driver takes a fare to a specific location. After delivery the cab would head back to the office to wait for the next call. If the cabbie could pick up another fare on the way back and deliver them to their location they could keep the money collected. They “knocked down” another fare that was not recorded or known to the cab company. Many cab drivers would have an on-going contest to see who could “knock down” the largest fare. The cabbies also would pick up small pints of booze and sell that when they could for a profit to their patrons after the bars were closed. 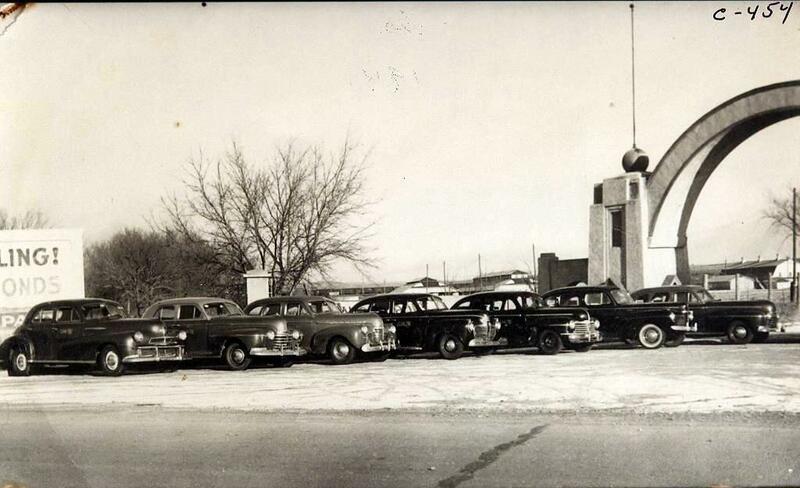 Shown below is a fleet of taxi's in front of the State Fair Entrance in 1944. Yesterday on the way to our new temporary home we went down to the railroad tracks just south of the Coca Cola Plant. For the first time we could see 9th Street as you entered Eastwood Park. The street was visible for about a block. It appeared as though there was standing water on 2nd Avenue, which runs past our house. However, last night we had about an inch of rain so I am not sure what that will do to the water level in Eastwood Park. The city is planning on reopening the 3rd Street Overpass, but with the rain last night, Broadway is temporarily closed. The water is pooling behind the dike and needs to be pumped out. Bus service is returning to parts of North Minot. Tide and the Red Cross are offering free laundry service to flood victims. The "boil" order for the water is close to being resolved. Perhaps in a day or two we will be able to get to the house to assess damage. Our goal is to be back into the house by October. Hopefully by then we will have the rewiring done, at least one furnace and water heater in. 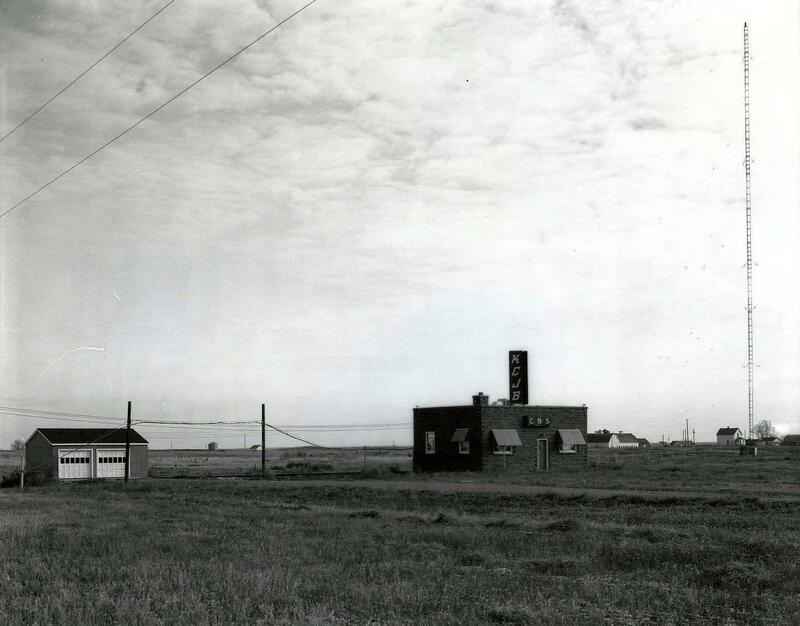 Martin Jacobson was well known in the early days of Minot. 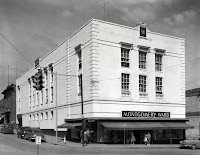 He had a large ranch south of Burlington and built the Jacobson Building on the north end of Main Street that housed Jacobson Hardware, Union National Bank and the Opera House. The large house he built at 304 South Main Street was a surprise for his wife who suffered from tuberculosis. He built the house to accommodate his six children and also because he was fond of hosting large social gatherings. 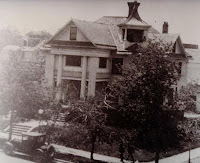 During the 1920s and into the 1930s, the home served as a rooming house for nurses employed at Trinity Hospital. 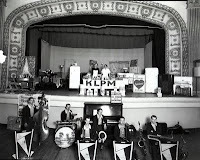 From the later 1930s until 1944, it served as a public rooming house. Ben Thomas purchased the home in 1944 and with some remodeling, opened it as Thomas Funeral Home in 1945. Yesterday I spent about an hour with the FEMA Disaster Team. Picked up a lot of information on cleaning up after a flood, tax info and started the process to apply for a low interest loan through the SBA for repair and renovation. Not much more can happen until the water recedes enough to get into the neighborhood. The house needs inspections by a various people to trigger the repairs and loan process. Not sure when that will be, hopefully in the next week to 10 days. It sounds like pumping the basement will be a slow and methodical task. A foot or two a day and then wait a day or two before pumping more. I have heard of people pumping out 2-3 feet of water and within a day or two it is all back due to the level of the ground water. The river is now below 1557 feet, (flood stage is 1549), so we have a ways to go. The storm sewers will not start functioning until the water is in the channel and lower. It is believed that the river channel is deeper than it was due to the volume and speed of the water going through. May allow storm drains to kick in and work a bit faster. On the other hand, the city is not sure about water lines and sanitary sewer lines that were crossing below the river. They may or may not be there. One question that is arising is this. As neighborhoods return to work on their homes, what do we do about sanitary facilities. In many areas there will be no water for a while. We may have to drop Porta-Potties in locations around town for residents to use. Many questions and problems continue to rise. Yesterday we learned the city is setting up teams of inspectors to check out the houses. When we are able to get to our house we will call the inspectors in to evaluate the condition of the house. If it is deemed repairable, we will start the renovation process. We will begin by slowly pumping out the basement, 2- 3 feet at a time. If you pump it all at once their is danger of the foundation collapsing. While that is in process we will start removing all the carpet on the main floor. Once that is done we will make the decision on what to do with the floors. We will see if the hardwood under the carpet is worth saving. We will also evaluate the condition of our kitchen cabinets. After the basement is free of water the next step is to empty it. First to go will be the stuff left behind that we had no time to get out. Then it will be all the sheetrock and insulation. The electrical will be the first thing to replace. Anything that got wet will have to go. When electrical is in the next thing will be a water heater. One of the furnaces will go in prior to winter, the second later and the central air conditioner will be done next year. But, nothing can start until the water is down enough to get to the house and get the initial inspection done. Today is day #13. Thirteen has always been a good number for me as I was 13 on Friday the 13th, many years ago. Today a couple of videos of Eastwood Park were posted on Facebook. Both were taken from a boat passing through the neighborhood. One of the videos went past our house. Now we now know that we had water on the main floor. About a foot at the most, I am estimating. The stuff we left in the garage that was higher than 4 feet should be ok unless the water entering the garage knocked over the shelving units I had it stored on. Christmas decorations should have survived. I am guessing it will still be at least 2 - 3 weeks before the water recedes enough for us to get into our neighborhood to start working on the house. We are stocking up on supplies we will need once we get into the house. Items like hammers, pry bars, crowbars, generator, utility and trouble lights, knife cutters to remove carpet, boots and other things we might need. 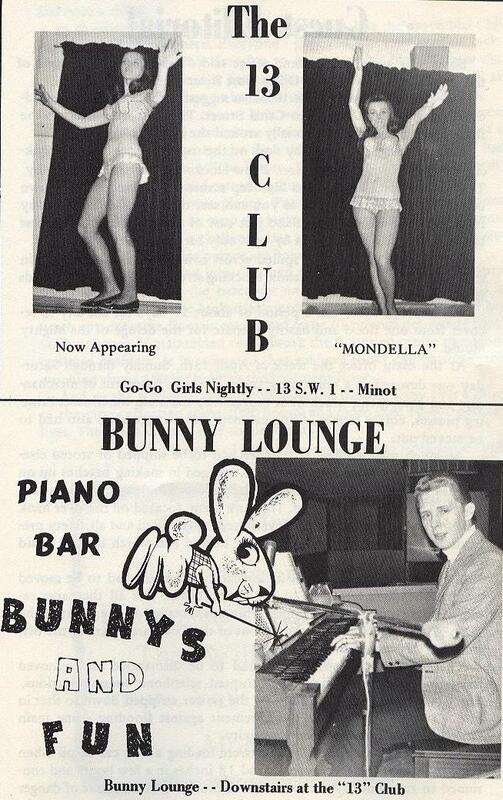 Minot is proceding with regular events. Festival in the Park has moved to the Scandinavian Heritage Park on South Broadway, across from Town & Country Shopping Center, on a bit smaller scale. Fireworks will still go off tonight from the Souris Valley Golf Course. The State Fair will be held, Nodak racing is to start in early August, so life goes on. A lot of this is still dependant on the river getting back in its banks and the storm sewers functioning again to remove standing water in neighborhoods and on the streets. Vault Lights or as they were commonly called, Sidewalk Lights, are glass prizms set into sidewalks to let light into vaults and basements below. Prizms were used instead of flat glass to disperse the light. Flat glass would cast a spot on the floor below whereas the prizm would spread the light out over a larger area. The idea originated in the 1840’s as Deck Lights. They were used on ships to let light below decks, especially when an open flame would be hazardous. The idea caught on in cities in sidewalks to illuminate below grade. Many businesses in Downtown Minot had the Sidewalk Lights in the sidewalks in front of the store. The basements of many businesses went under the sidewalk. 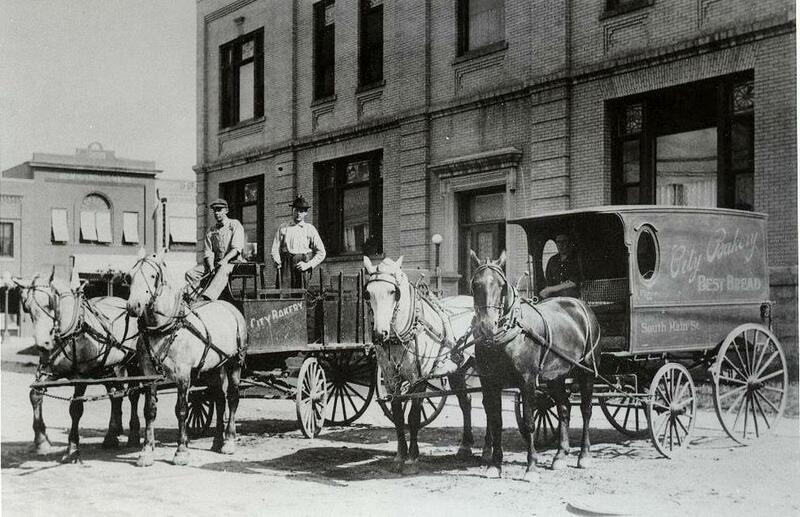 This was because many had freight elevators in the sidewalk. 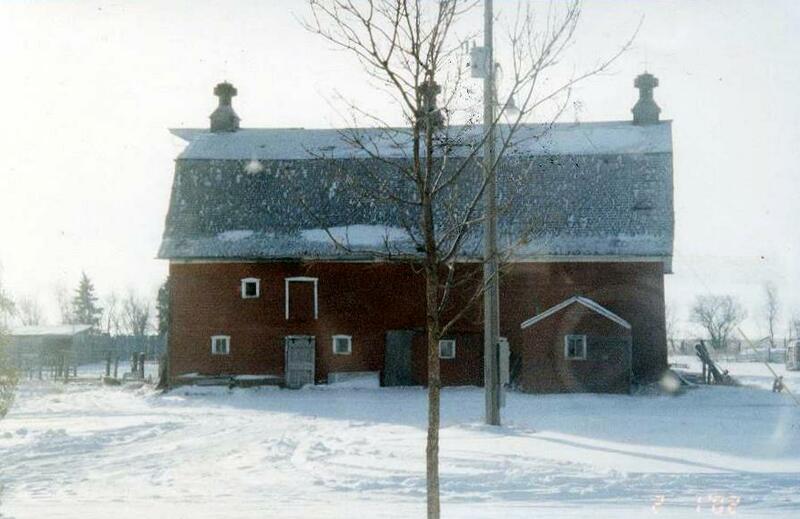 The heat from the basement below helped to keep snow melted. 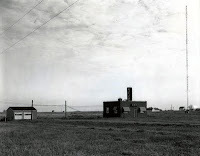 By the 1930’s they were on their way out as electricity became less expensive. Now they are endangered relics, or antiques. There are probably still some in sidewalks in Minot’s downtown area. It has now been 10 days that we have been out of the house. I have been running the Flood Hotline Call Center At the EOC. I spoke with a lady from Wisconsin who called with questions about her monther's house. She thought it was in Eastwood Park but turns out it is on the east side of Roosevelt Park. She told me that she did have pictures from a video of Eastwood Park which she emailed to me. One is shown below. The bottom of the picture would be the 4 way stop sign at 8th St SE and 1st Ave SE. Our house is at the other end of the block to the south. Judging by the water level on the small trees on the boulevard, I am estimating the water depth in this picture to be between 4 - 4 1/2 feet. I will probably have water on the main floor but hopefully not too deep. Yesterday, June 30th, at 4:30 pm I was able to tour the Souris Rivewr Valley in a Blackhawk Helpcopter, thanks to the ND National Guard. Quite the sight when one actually sees the amount of water in person rather than on a video. Plans are being formulated by city and other officials on how to safely and orderly allow people back into their homes. Will write more about that as the plans develop.